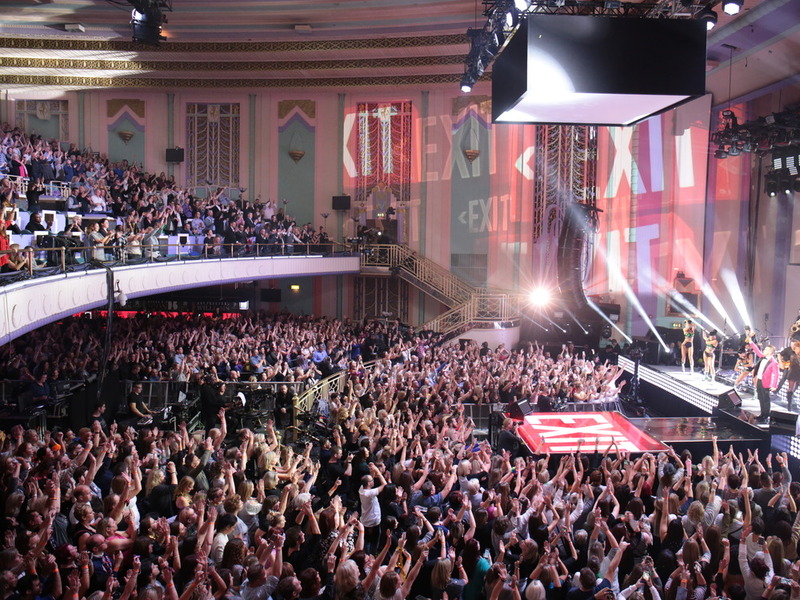 This week, we find out more about Troxy in London. We spoke to General Manager, Tom Sutton-Roberts, who tells us all about this versatile and vital East London venue. 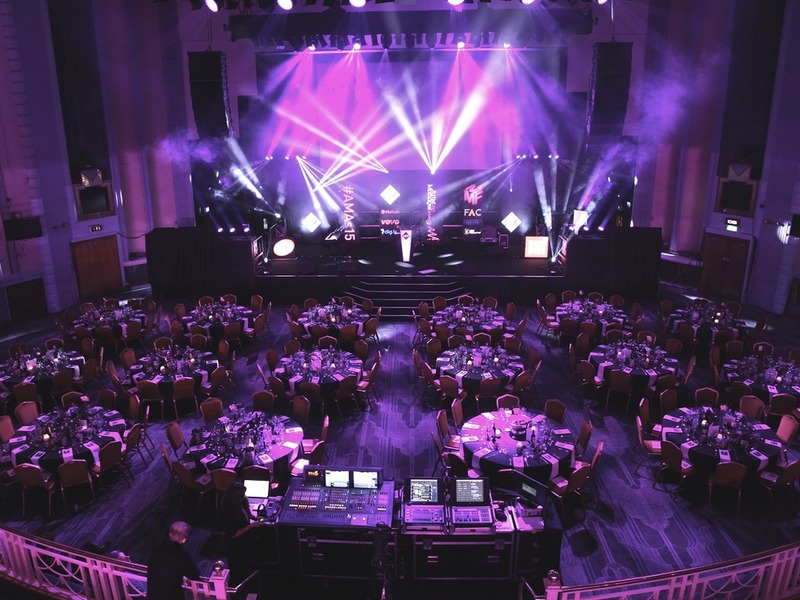 See full listings for Troxy here. I'm the General Manager at Troxy, which can be found in Limehouse, East London, just to the west of Canary Wharf. We're a very flexible venue, and our capacity ranges at 300 for award shows, and up to 3,050 for a music gig. 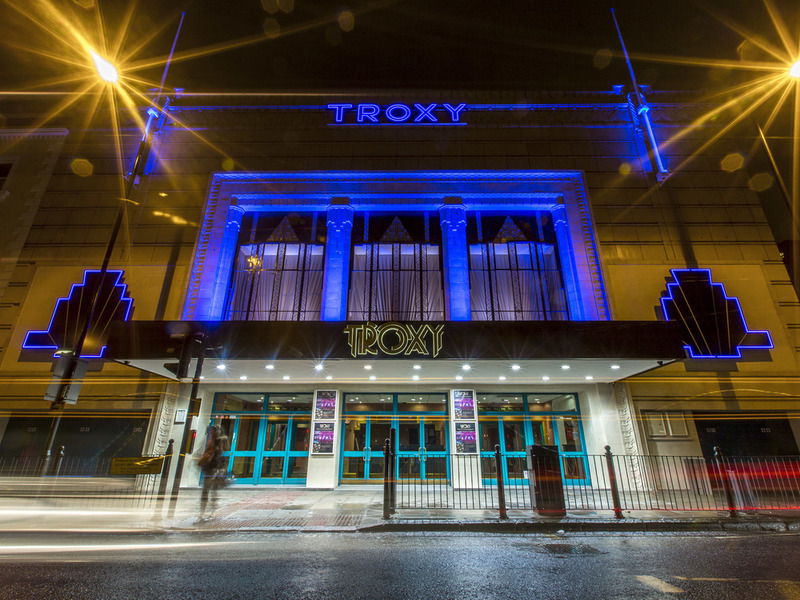 Troxy has had several identities over the years, but first opened in 1933 as a grand cinema – in fact the biggest in the UK. We tend to be busier in the autumn and winter where we can have events almost every night, but averaging events over a year, we do 3 to 4 a week. Our music concerts are interspersed with award ceremonies, film screenings, club nights, corporate hire and sports events. Because we're a large venue, we tend to stage bands when they are established. London Grammar played here in 2014 to conclude their 'If You Wait' tour, and have gone on to be even bigger since then, but they were already making a name for themselves at that time. We've also hosted Kano, who later went on to be shortlisted for the 2016 Mercury Prize, and Kaytranada, shortly after he released the album 99.9%, which went on to take wide critical acclaim. We recently hosted The Outlook Orchestra, who deserve to be in the headline slots of festivals next year. We also recently hosted the amazing Amadou & Mariam who were absolutely incredible and have a truly inspirational story. 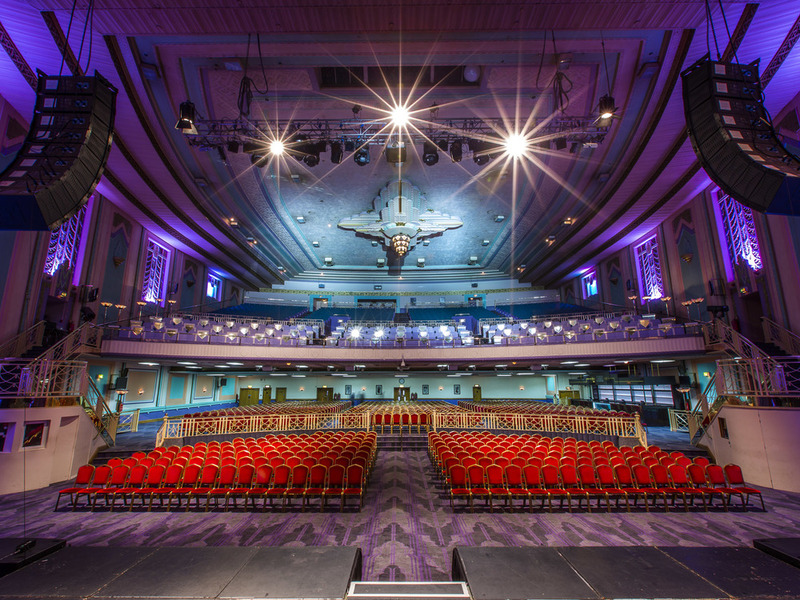 Yes, the past 12 months are a great snapshot of what Troxy can offer promoters and audiences with live music, indoor sport, awards, film screenings and even a huge opera production all taking place over the year. We regularly welcome major award ceremonies and have previously hosted the Kerrang! Awards, The UK Festival Awards, the NME Awards and the Artist and Manager Awards, to name but a few, and we've also had international celebrities such as Sir Richard Branson and Bruce Dickinson launch their books here in the last couple of months. We also host sports events including Cancer Research UK's Ultra White Collar Boxing and UCMMA nights, so it's fair to say we're a hugely flexible and versatile venue. I would say there needs to be more protection of independent venues; too many have closed in London alone in the past few years. With the likes of the Music Venue Trust, the Night Time Industries Association, Independent Venue Week and Amy Lamé London's 'night czar', continuing to do a fantastic job to support independents, we're positive that the future for independents is looking up. Thankfully since we reopened in 2006, closure hasn't been an issue but in the years prior to that, when we were closed in the mid 2000s after we ceased as a bingo hall, our future wasn't certain. Knocking buildings down and replacing them with flats is something you see all across London, and that could easily have happened here – but we have the added protection of being a Grade II listed building. Our owners Deepak and Mo have kept our much-loved venue looking great and restored it to it's former glory. There have been so many high points since I started at Troxy. It's been amazing to see the venue grow and the calibre of events we're now attracting is brilliant. We have also just won 'Best London Event Venue – 500 to 1,000 attendees' at the London Venue Awards, and awarded the 'Best Venue Team' at the 2017 Event Awards, which reflects how we're going from strength to strength. I have also been privileged to have been part of some great events here such as Sink the Pink, Robbie Williams and Disclosure. In the last week (5th December 2017) we hosted Communion Music's first major gig with us, Nick Murphy – who played to a sold-out crowd. Troxy has a fascinating history. It survived the Blitz when a lot of East London was levelled, and was once a rehearsal space for the London Opera Company and a Bingo Hall! We're also home to Europe's largest Wurlitzer organ, which was saved when its former home the Trocadero in Elephant and Castle was demolished. The Cinema Organ Society spent several years restoring it and it's now used regularly at our events. It's a one-man orchestra, and can play the entire score of a film on its own. If you go back to the 1930s and 40s, Maurice Cheepen, who ran Troxy when it was a cinema, was a real character whose publicity stunts had to be seen to be believed. He had a horse-drawn pumpkin coach go around the streets to advertise Cinderella, and sent a man dressed as a vampire out around the East End to promote Dracula. Also, when people came to screenings at Troxy, the staff would spray perfume into the auditorium to create a sense of glamour. It was the heyday of cinema, and it's lovely to work in a building with such a rich heritage. Track Troxy here to keep up to date with all forthcoming events. You can also catch them on their official website, Facebook page, Twitter, and Instagram accounts.